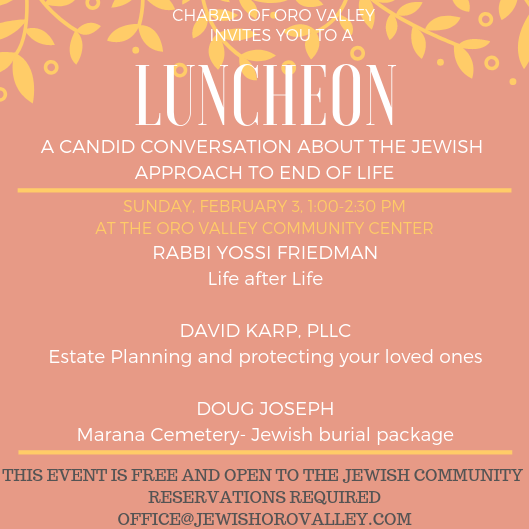 A candid conversation about the Jewish approach to end of life. The event is free and open to the Jewish Community. Please consider helping sponsor this important event. You can donate online here.